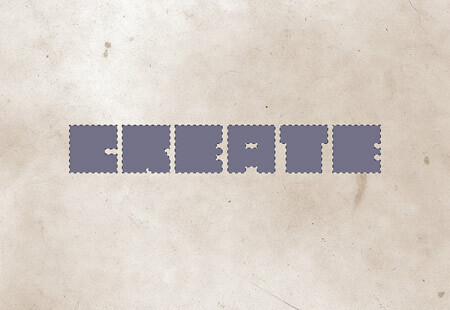 To start, we’ll create the type by hand using Illustrator. 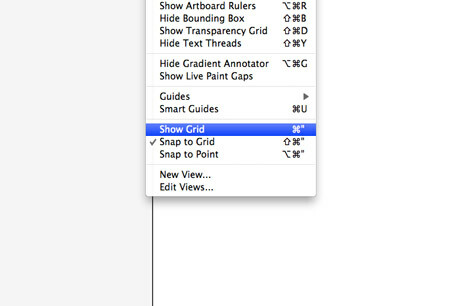 Create a new document, then turn on the Grid, and adjust the snap settings to snap to the grid. 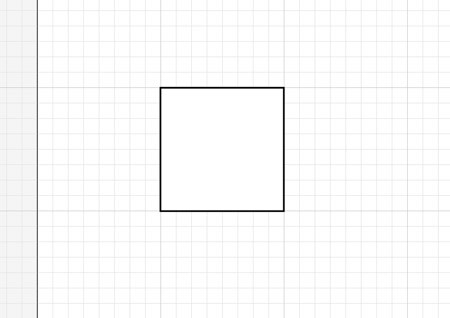 Draw a square onto the artboard. Notice how the points will automatically snap to each grid intersection. 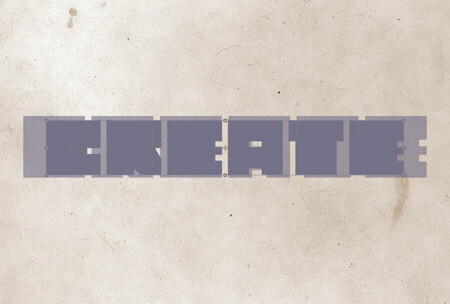 This will come in handy when creating our abstract geometric type style. 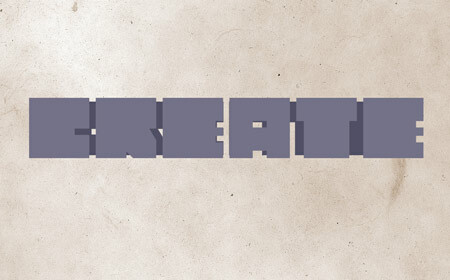 For this tutorial, we’ll base the design around the word ‘Create’, so manipulate this first shape into a letter C by chopping out a section using the Pathfinder tool. 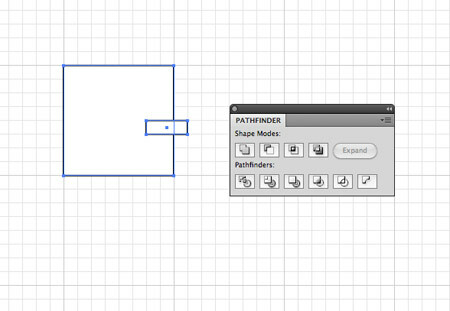 Use a temporary shape to overlap the appropriate area, then select both shapes and click the Subtract from Shape Area icon. 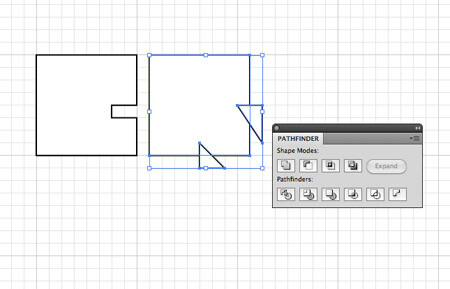 Continue onto the next letter, in this case an R. Use the Pen tool to create triangular shapes to sculpt the box into a vague R shape. 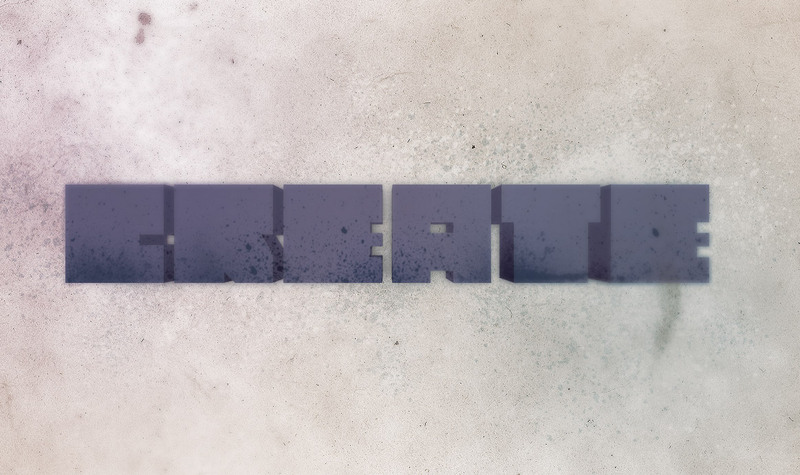 Once all the letters have been created, space them equally alongside each other. 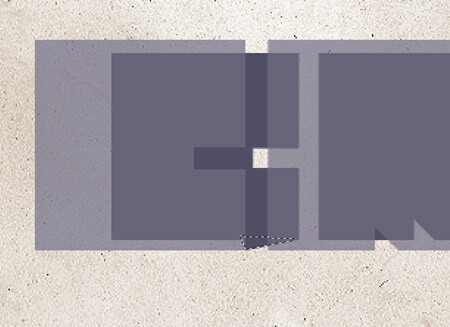 Basing each letter on the same rectangle gives a boxy, geometric and generally cool style. 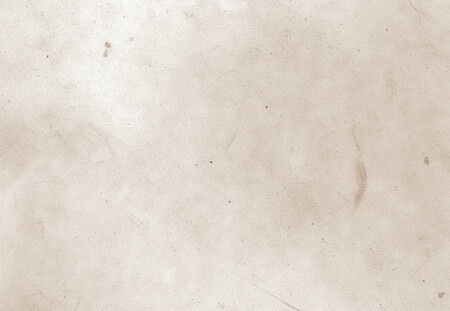 Head over to SXC and download a background texture. This particular one is a paper texture from IB6364. Paste the texture into Photoshop. 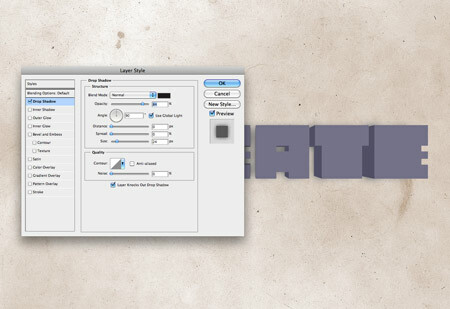 Copy and paste the wording from Illustrator into Photoshop. Fill the letters with a colour sample of a nice grey-blue. Duplicate the text layer, then press CMD+T to Transform. 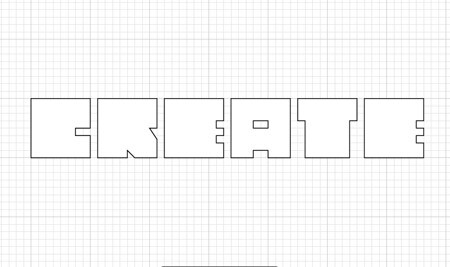 Hold Shift and Alt to scale down the letters proportionally. Dropping the opacity on the top layer can help visualise the transformation. Fill the smaller text with a darker shade. This is the base of the three dimensional effect. 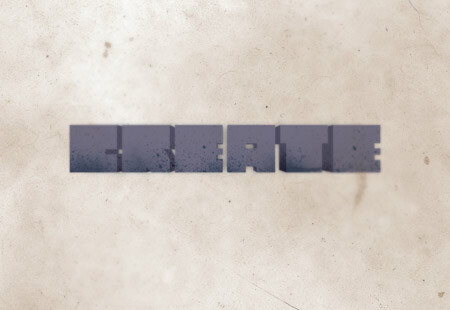 Zoom right in and use the Polygonal Lasso tool to connect the corners of each letter. Fill the selection to give the appearance of perspective. 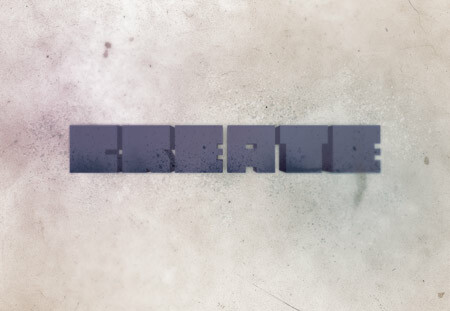 Once all the connections have been made between the two text layers, the illusion of a third dimension is created. 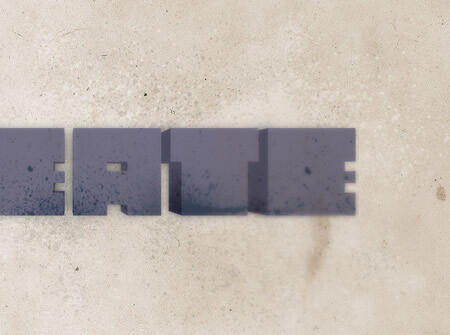 Add a Drop Shadow to the top text layer. Use a large value for the size and keep the opacity fairly high. Source a collection of spray paint Photoshop brushes, such as these, or these. 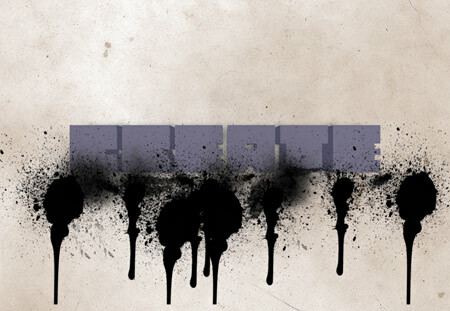 On a new layer dab a few spots of black over the text, paying attention to the fine splatters overlapping each letter. CMD-Click the first text layer, then CMD+Shift-Click the second text layer to load the outline as a selection. Then, add a Layer Mask to the splatters layer to hide any excess spray paint. Change the Blending Mode to Vivid Light at 50%. Press CMD+A to select all, then CMD+Shift+C to copy all layers. Paste the selection on a new layer then add a 3.6px Gaussian Blur. Add a layer mask to the layer and fill with black, then dab large spots of white with a soft round brush to bring back subtle touches of the blurred effect in select places. This little touch adds a cool lens blur kind of effect. 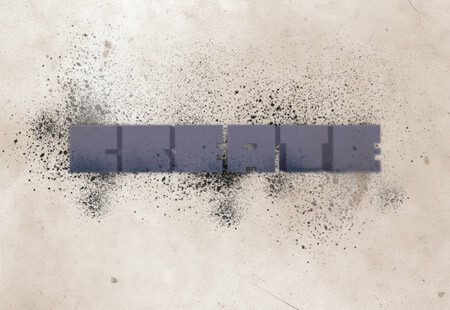 Create a new layer below the text layers, then use the spray paint brushes to draw in various splattered elements. Change this layer to Vivid Light. Draw in more splatters on a new layer, but this time change the blending mode to Color Dodge and adjust the opacity to 55%. Add a new layer to the top of the layers stack. Use a large soft brush to dab a bright purple and blue spots onto the design. 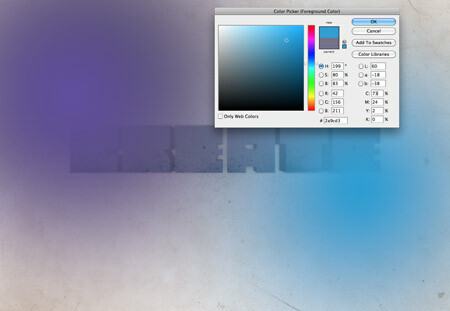 Change the blending mode to Color Burn at 25% to add a subtle cast of colour and contrast to the design. 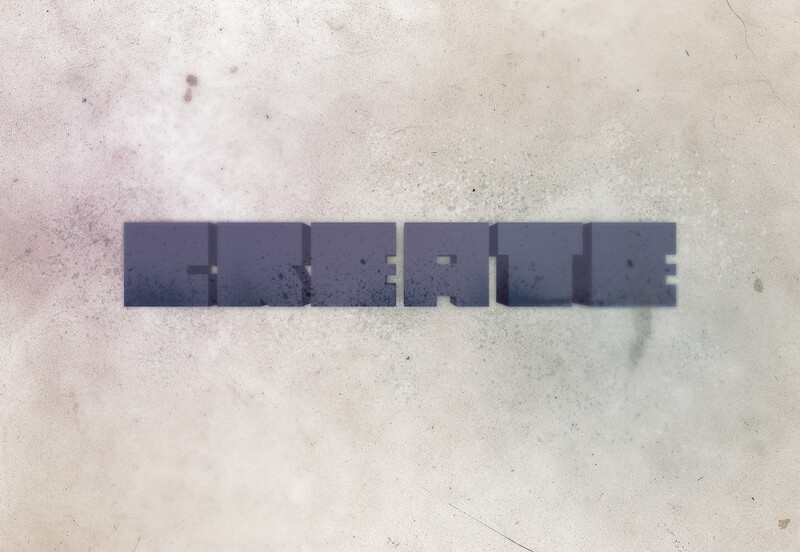 There we have the finished design, complete with 3D type, grungy splatters and detailed textures. The subtle colour casts and lens blurs really help add an extra finishing touch. 60 Comments submitted Add yours! Agree. But If the desired font is not present I would go ahead and use cad or 3dsMax, Render & Bring it in. i really like your short design with best tips. Lovely! Can’t wait to give this a whirl. how did you do your avatar, ive seen a bunch of them around? Really cool end result. Thanks for this! 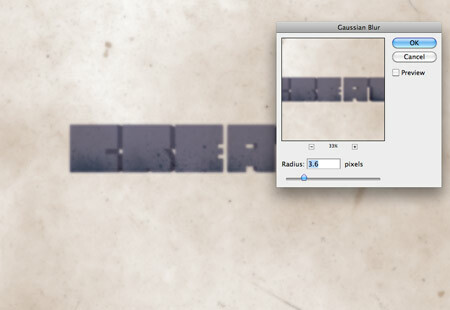 Would it not be easier to create the 3d effect with the extrude feature in CS4? Anyway, there’s a few nice little techniques that I’ve taken away from this and for that I thank you. Can’t you just do Expand Appearance twice? 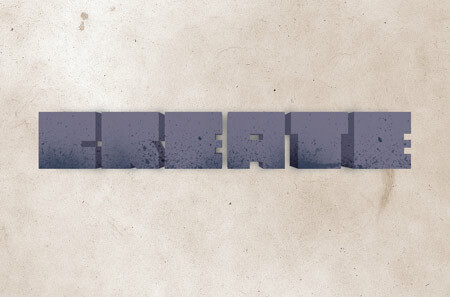 For me in CS4, doing this keeps the text paths and the extrusion paths in two nice little groups; you can expand further to separate into the individual letters, and again to separate into the facets OF each extrusion OF each letter OF the whole word. Awesome tutorial! But I think that if you are a newbie to photoshop there is not enough details. But otherwise it is awesome and very useful! Great type tutorial I really like the background behind the text i think it ads a nice touch and really makes the 3d type pop. i would like to know, how can i add a similar box as you have here at the end of the post? awesome cool design! thanks for sharing chris. Pretty cool output. I’m just getting into these splatter and spray brushes and realizes how to use them correctly and good techniques. Actually learned quite a bit from this tutorial. Thanks. Well, I want to know what files I need to modify and put these codes. cool tutorial there. and the effort to do a print screen. kudos! Very useful tutorial and you’ve made the steps very clear to follow. Thanks for taking the time to put this together. Instead of dark colors if you use bright colors it would look even more attractive. Love the art. Thanks for the help. Keep up the great work. not sure if you remember me, anyways, i’ve got a bit confused over the illustrator brushes..the thing is i downloaded free vectors and then when i try to open up it reads as .eps file..something lyk encapsulated..anyways my point is when i assign the downloaded vectors to my stroke it just won’t take it..i mean there are no results..what do i do to get those swirls and curls rendered correctly in AI?..